"Honor all people. Love the brotherhood. Fear God. Honor the king." Anyone who reads this website with any degree of regularity knows there are two politicians who vex this author beyond all others: Mayor Steve Adler and House Speaker Joe Straus. As 2017 winds down, it's as good a time to write down an observation that's become obvious in recent months. While both of them push bad polices, one of them does it in a (reasonably) lawful and respectful way, while the other operates a lawless and contemptuous enterprise. We'll let you figure out which one is which. Say what you will about Mayor Adler (and we've certainly said a lot), but he's a nice guy. Beyond his genuine niceness, however, is a refreshingly mature understanding of what it takes to be the Mayor in a big, diverse, city where people don't agree with each other. It involves listening...or at least allowing people to get their gripes at the Mayor out of their system. Steve Adler is a guy with whom you can have a reasonable conversation about the City Manager on Tuesday then call a hypocrite on Thursday who will be an adult about the whole thing. 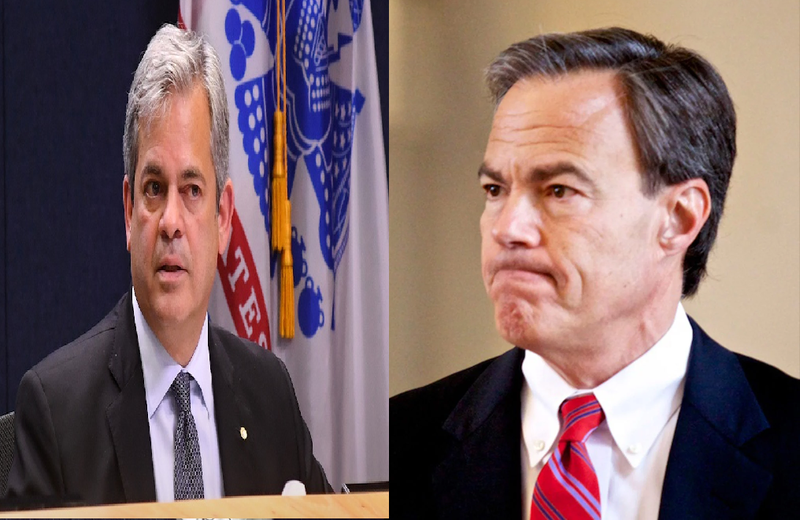 That's not to imply, in any way, that Mayor Adler will pursue the polices we want. It's merely to observe that, in three years as Mayor, we've always felt treated with respect. And that's more than we can say for the other fella. Joe Straus, beyond the bad policies and even the lawlessness, is incorrigibly malicious. He goes out of his way to try to hurt those with whom he disagrees. The examples are too numerous to list, but this, this, and this would be good places to start. To which we will add: Good riddance, Joe Straus will not be missed. Bottom Line: A number of people have recently wondered why, for as frustrating as its policy environment can be, we prefer the culture of city hall to the culture of the Capitol; this is why. Who does Blake Farenthold think he's kidding?! ?